Nowadays numerous adware programs are circulating the web. One of those applications is known as Safe Web. If you encounter various ads and pop-ups within your browser as you are browsing the web, it is an indication that Safe Web is running on your operating system. Even though, this program is advertised as a tool that should allow you to see if someone is tracking you. That might seem as a useful tool but, unfortunately, Safe Web does not do anything like that. In reality, it only exhibits the features of your average adware program, which are annoyance and frustration caused while you are browsing the web. Do not hesitate and remove this worthless program from your operating system. Use the removal guide that is provided below as it is the quickest way to get rid of this intrusive adware. Once Safe Web enters your operating system, you will notice numerous ads and pop-ups presented to you while surfing the web. Browsers such as Mozilla Firefox, Google Chrome, and Internet Explorer are all affected by this invasive program, so no user can feel entirely safe. The ads and pop-ups are shown randomly, whether you like it or not. If you want to restore the normal functionality of your browser, complete removal of Safe Web is a must, otherwise you will be bothered by the utterly useless advertisements and pop-ups. 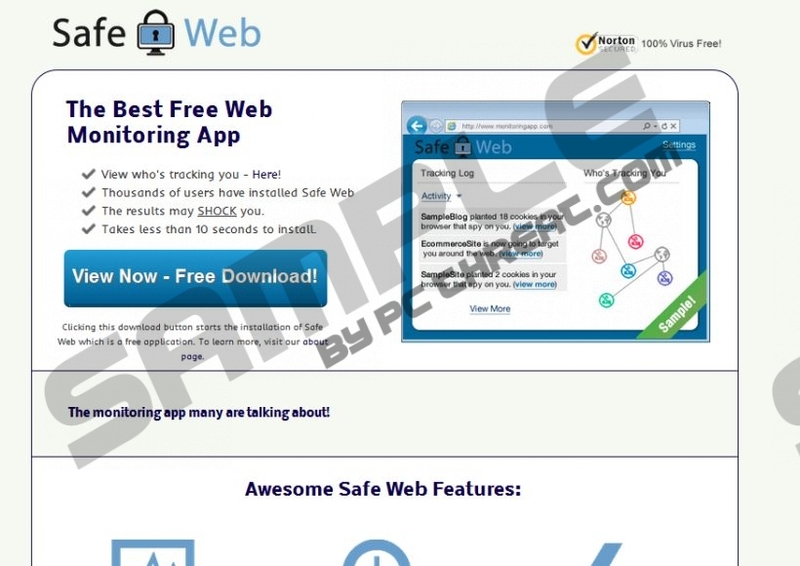 Since it has been discovered that Safe Web is based on the Injekt engine it is not surprising that it is closely related to other adware programs based on it, the list includes: Web Guard, Web Shield, Zombie Invasion, and quite a few others. All of these programs are known to present users with adverts that could turn out to be malicious. You could come across and ads that is implemented with a redirect link. It is a dangerous instance because you could end up on a website that promotes suspicious software, which could turn out to be malware. You should not trust anything that Safe Web presents you with as it is a risk that should not be taken by any user. Use this removal guide to remove Safe Web once and for all, as it is an application that does not exhibit any beneficial features whatsoever. In fact, the only thing that this adware program inflicts is danger onto your operating system. The removal process is rather simple and can be used by any user. We strongly recommend analyzing your system for any potential infectious leftovers on your PC. Select Safe Web and click Uninstall. Quick & tested solution for Safe Web removal.